The CIRS series of ultrasound phantoms, unlike human subjects or random scannable materials, offers a reliable medium which contains specific, known test objects for repeatable qualitative assessment of ultra sound scanner performance over time. At normal or room temperatures the Zerdine®(1) material found in the Near Field phantom will accurately simulate the ultrasound characteristics found in human tissue. 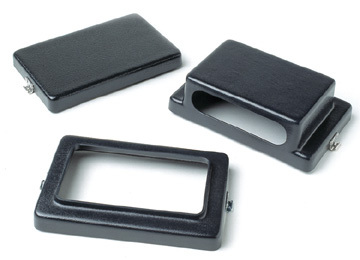 The Model 050 has a series of wire targets that will appear as bright dots or lines on the ultrasound image. 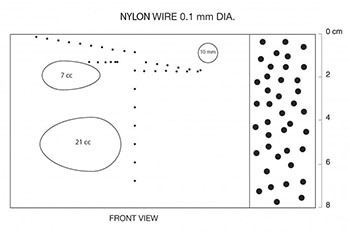 These targets are made from nylon wire with a diameter of 0.10 mm and a positional accuracy of ± 0.2 mm. There are also two known volumes, a 10 mm anechoic/+15 dB mass and anechoic focal lesions embedded within the phantom. 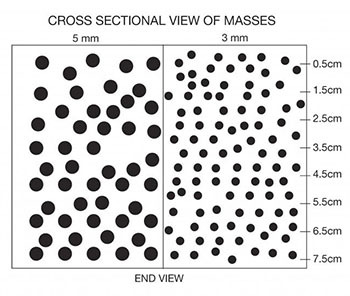 These "masses" are made from Zerdine® that has a different contrast and attenuation relative to the background material. The Model 050 was designed to allow for assessment of uniformity, dead zone, depth of penetration, beam profile/focal zone/lateral response width, vertical distance measurement accuracy, axial resolution, lateral resolution, anechoic masses, high contrast masses, volumetric measurement accuracy, and focal lesion detectability. Diameter: 5 mm, 3 mm Random Distribution. Phantom comes with detachable scanning wells to accommodate large sector probes and small endocavity probes. 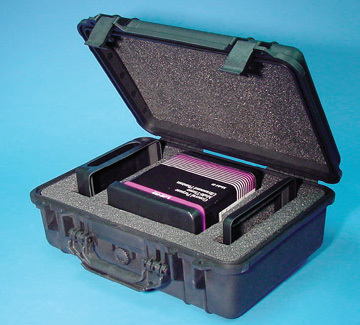 It is packaged in a hermetically sealed, air tight, rugged carrying case.